As much as I like to fancy myself a highfalutin foodie, the sad reality is cooking for kids has knocked me down off my high horse many years ago. A nice example of how my children have humbled me: decent casseroles and crockpot dishes excite me as much as truffle oil. More so, in fact. Years ago my friend Bonnie shared a recipe which won a contest in the Sunday Parade Magazine (that’s a division of Food & Wine, no? ), and its many incarnations have been a hit with the family ever since. I rarely make this the same way twice, but this is a very forgiving recipe which allows much room for improvisation and substitutions. Leftovers are always rare. Preheat oven to 350 degrees. Spray bottom of 13 x 9 inch baking dish and line with crushed tortilla chips. Combine everything but the cheese in a large bowl and mix well. 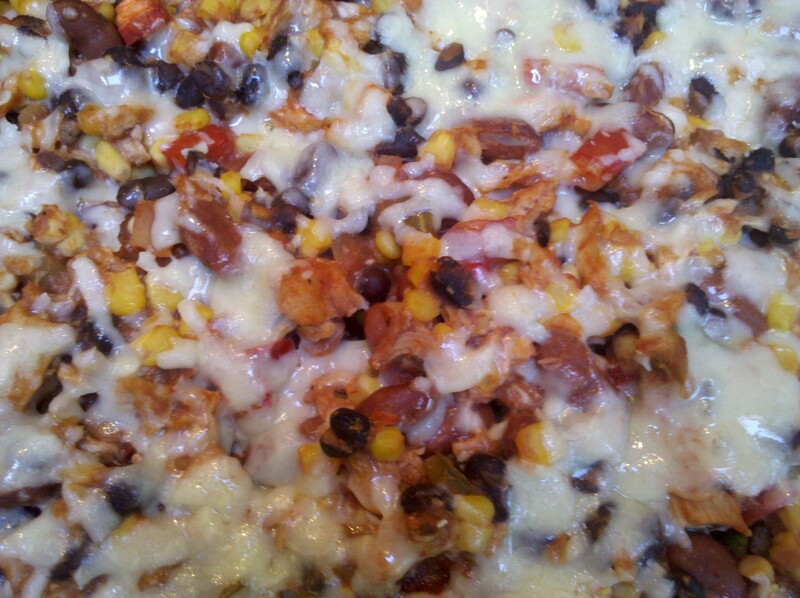 Place half the mixture atop the tortilla chips, and sprinkle half the cheese over the mixture. Cover with the remaining half of the chicken-bean mixture, and then top with remainder of cheese. Bake for 30 – 35 minutes, and let stand for 5 minutes before serving. 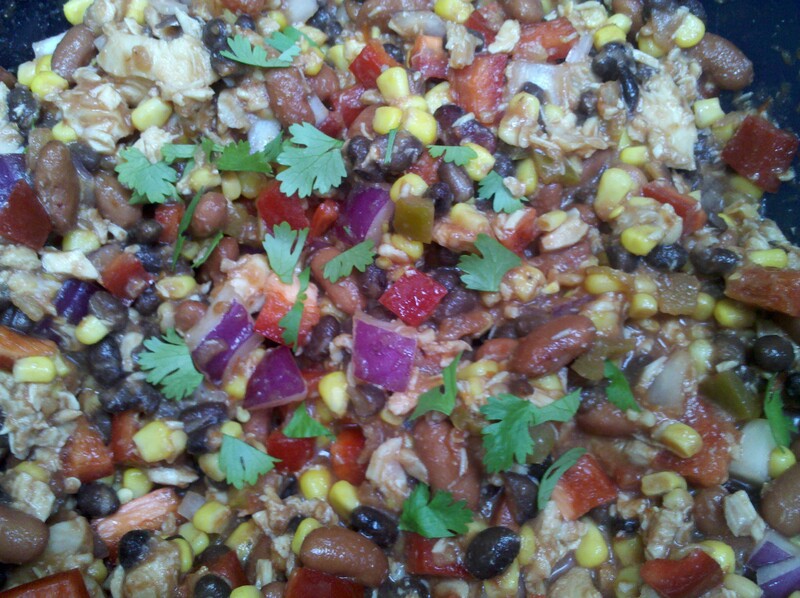 This entry was posted in Chicken, Main Dish and tagged beans, casserole, chicken, mexican by Mom Mom's Apron. Bookmark the permalink.